This week is a week for storybooks on the iPad for us, given that the rain is preventing us from venturing outside as much as we’d like. 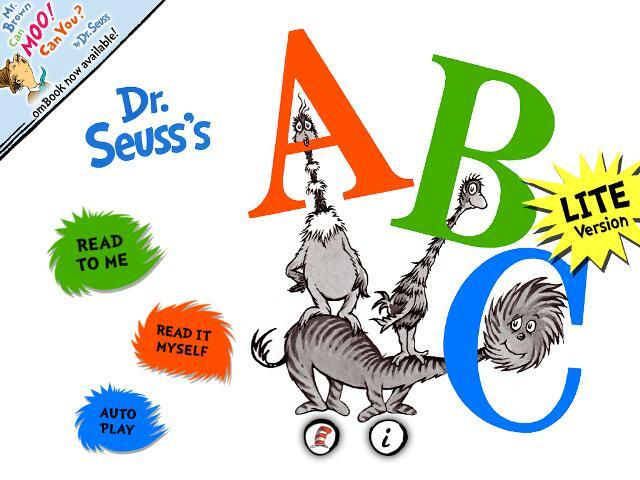 I downloaded Dr. Seuss’s ABC book ages ago, but we hadn’t really looked at it much until this week. How did I forget how much I liked Dr. Seuss?! 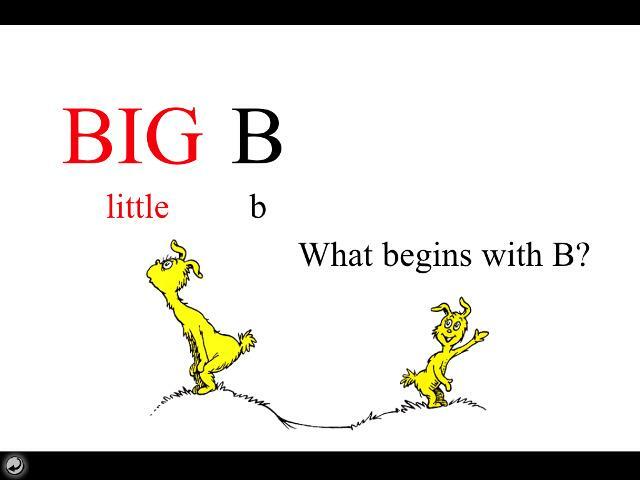 And there’s a certain joy to the ABC’s when they’re written Dr. Seuss style. The Lite version of this app (which doesn’t cover all the letters, but certainly has enough to hold a young toddler’s attention!) is free. The full version is available in iTunes for €2.99. This iPad book features a Read To Me, Read It Myself, and an Auto Play option. Right now, we prefer the Read It Myself option, but I’m sure as Little Man gets older, he’ll start to enjoy the Read to Me option more. 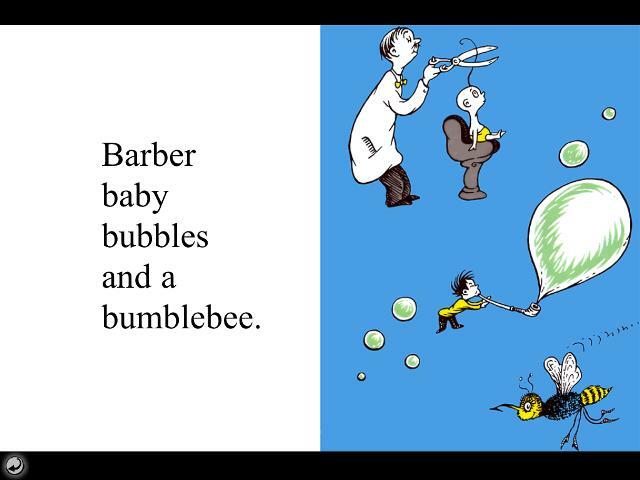 The graphics are classic Dr. Seuss, as are the sing-song rhymes on each page. Perfect for the next generation of Dr. Seuss fans. Lots of things start with B!